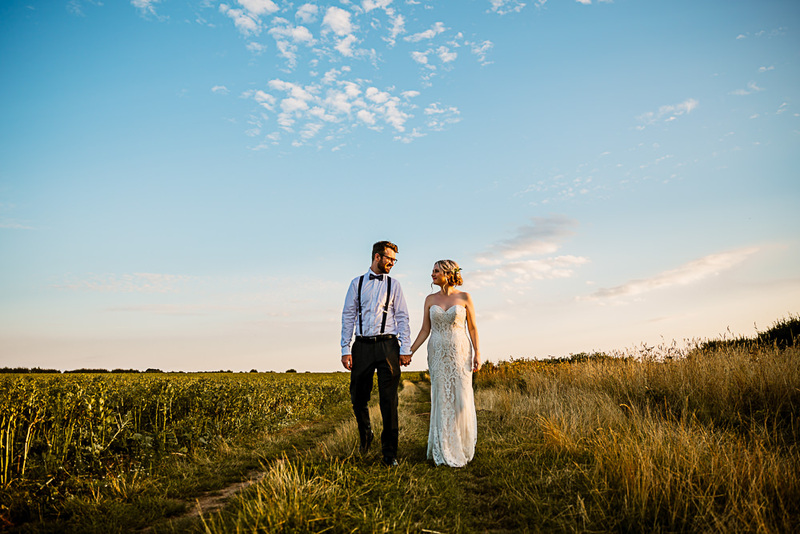 Kara and Stuart wanted a relaxed, fun and personal wedding, which is exactly what they got from their day at the Crab & Lobster in North Yorkshire on the 5th August 2018. It really is a unique venue that’s attractive in its own right with lots of quirky props and our couple didn’t want to overwhelm it too much with flowers or other decorations. The décor that they did include was really personal and I think you’re going to love it. The welcome sign in particular really is a thing of beauty. I really like the contrast between all the colours of the venue and the simplicity of the flowers including Kara’s bouquet with neutral florals and greenery being order of the day. Our pair chose the wonderful Hayley Baxter Photography as their photographer. I absolutely love the sunny portraits out and about in the grounds. Thank you very much Hayley for sharing these brilliant images with us today.